Whether you are elderly, injured, disabled, or have a differing health condition, you need to have a reliable option for maintaining your mobility in your home. While our Long Island stair lifts are designed to keep you in control of your mobility, we understand that equipment may fail without reason, require planned maintenance, and in some cases, a repair can become a life-threatening emergency. When you purchase one of our Long Island chair lifts, you have the backing of our experienced, knowledgeable staff ready and willing to make sure your stair lift continues to provide you with optimum mobility. While we make every effort to give you the best service possible, we know that technology does have its drawbacks. Unfortunately, technical or functioning problems may occur, but we will be available to send out a factory trained technician to make a repair to any brand of stair lift. You can schedule a time during the week to have the technician arrive that is tailored to your schedule. The technician will locate the problem and discuss the available repair options. Furthermore, we can work with you to create a solution that will best fit your budget. 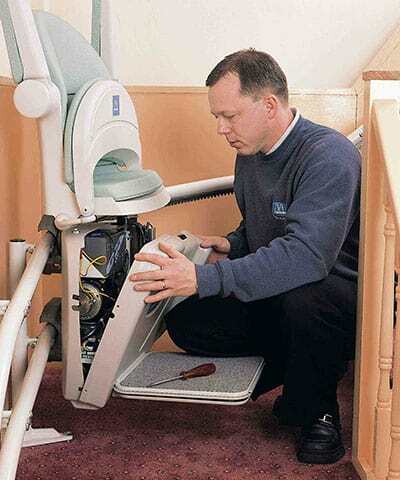 The key to having a working stair lift for years relies upon careful, thorough, routine maintenance. At the scheduled intervals, we will inspect, adjust, and lubricate your chair lift according to the factory recommendations. Furthermore, our technicians will identify any worn or unsafe hazards of your chair lift, which can be repaired immediately. This gives you peace of mind by preventing costly, extensive repairs in the future. We’d like to think that our planned maintenance will prevent every possible problem with your stair lift. 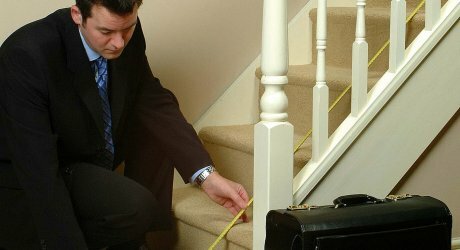 However, we understand that emergency repairs will be an inevitable part of owning a stair lift, especially if you rely upon your stair lift exclusively for vertical mobility in or outside of your home. 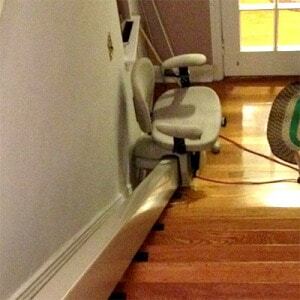 In these cases of total reliance, a malfunctioning stair lift can turn into tragedy. Our emergency repair team is available any time of day or night, and you can reach the emergency repair team by simply calling our office. Every emergency repair team member carries an array of parts to fix the most common problems immediately. When you make the decision to install a stair lift, you expect to have it last you a lifetime. While we cannot guarantee you will not have any problems, we can make sure your chair lift continues functioning properly through scheduled maintenance and general or emergency repairs. Since your safety is our top priority, think of us a friendly family member who will be ready to come help you when something goes wrong.